I have so much fun stuff to share with you today! Training is going really well. I’m making a very conscious effort to be healthy, fit, and mindful in my training this cycle. I don’t want to jinx it but I think it might be working. Let’s dive in, shall we? First and foremost, I finally did it. I registered for Grandma’s Marathon in June. I dragged my feet long enough, right? I’m freaking over the moon excited. Not only will I get to return to a place I hold so close to my heart in the north woods, but I’ll get to meet so many awesome blog friends in the flesh (Wendy, Kim, Lora, and Gina)! It’s gonna be EPIC. Last week my training went really well. I only had one “eh” day — the rest were amazing. I ran three miles with my pup on Tuesday, and then the remaining three solo. It was a gorgeous day and I ran really fast. I didn’t even feel like I was running that fast but I know I was because, looking back on my stats, at one point I was pulling a 6:35 min/mile. How? I dunno. On Wednesday I did 400s on the treadmill. Not too bad but definitely not as easy as on the track. I definitely jogged slower during my recovery lap on the treadmill than I do on the track, but at least the speed was the same. Thursday was kind of a mess. I had a steady state run and since the weather was a bit sloppy, I opted to do it on the treadmill. Big mistake. I can’t, for the life of me, run a sustained, fast speed on the treadmill. I’m not sure why — I just can’t do it. It was a total suffer-fest from the start. I was overjoyed when I finished. After I got off the torturous struggle-bus, I put in some time working on the hips and glutes. I foam rolled in the evening and yowza did I feel that the next day. My abs were so sore. I need to keep up with the rolling. Long run Saturday was super. It started off chilly but quickly warmed up. By the time we finished it was damn near perfect running weather. We had a mixed group of paces and backgrounds which is always welcome. I love meeting new people and learning about them. Plus it was nice to be able to run with a bunch of different paces. I eventually dropped back and stayed there since I had one of the longest distances to run on Saturday. I had no desire to burn out on a training run. Fortunately, Sara and I ran together most of the way which was fantastic as always. Lots of photo opps and things to laugh about. After our run we finished up with a group breakfast. That is why we run after all, isn’t it? This week will include some more faster running and I’m looking forward to it. We’re expected to have some pretty awesome running weather here in northeast Ohio. I’m hopeful I can be outside for almost every run. Plus I love running faster than all the long, slow miles during marathon training. It helps to break up the monotony. I’ll get to reunite with my friend Noemi this weekend which will be a lot of fun. It’s been a hot minute since I’ve seen her. We’ll get to run with the whole Cleveland Marathon 2015 crew. Epic adventures await! What’s your favorite type of speed workout? <—- I enjoy tempo runs! What’s your ‘A’ race or goal in 2017? 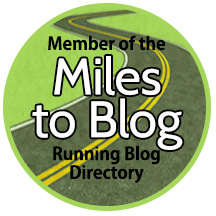 Linking up with My No-Guilt Life, Marcia’s Healthy Slice, and MCM Mama Runs for Tuesdays on the Run, and HoHo Runs and MissSippi Piddlin’ for the Weekly Wrap. I’m so excited for you to take on Grandma’s Marathon and also meet up with so many awesome blogger friends! I’m so glad, too. It’s gonna be so fun!! I’m so excited that you pulled the trigger for Grandmas! We are going to have so much fun! I KNOW!!!! I can’t wait! It’s gonna be amazing!! I feel you on the tempo. A lot of people don’t like them. My absolute fave are progression runs if I’m being honest. But tempos are fun, too! 6:35 per mile?? Girl – you are a speed demon! I struggle keeping tempo pace on the treadmill as well! So excited about Grandma’s. Meet ups for sure! And… I’m pretty sure I’m solo for SURE on Friday, so I’ll be looking forward to meeting up with everyone! I don’t know how the 6:35 happened. It has to be a fluke! I’ll have my fam with me but I’m totally in for a meetup. So excited!! So excited for our long run this weekend! So much to catch up on!! Awe love our little reunion! It’s going to be amazing!!! Of course breakfast after a run is a must. I fuel before, of course, but food after a run seems to taste better. Great job with your runs! I’ll be doing my first steady-state run this week, I’m really excited! Grandma’s Marathon sounds like it’ll be a blast! Ideally, I’d like the Buffalo Half Marathon to be my A goal race, but I don’t want to put too much pressure on myself! Make Buffalo your A race. Why not?! That is a LOT of races you’re training for! I guess it will definitely keep you with a training plan! Good luck! I’ll be busy for a while… 😉 Lol! Should be fun!! Thats so exciting that you signed up for grandmas and that you will be running it with so many other bloggers! I think my favorite workout is the tempo run as well. Great job this week- I am loving that the weather has improved! I’m glad I finally did. It should be a fun time! Great week! Oh, I do not like tempo runs at all. Any kind of intervals is better than that. I actually like speed workouts mainly cause I can rest in between the sets. I’ll take these over a tempo run any day of the week! Your getting to meet up with so many cool bloggers for Grandma’s ! Lol! I like running fast. Tempo and speed. Either one is great by me. I’m looking forward to the race! Should be fun. I am jealous of your group breakfast… I wish I knew more runners in the area. I’m definitely feeling the FOMO over Grandmas! It’s going to be so much fun meeting those bloggers. I prefer tempo runs too. I tend to run intervals faster than I should and it just feels like I’m dying. I’m trying to be diligent with my hip/glute exercises. They do help. I’m curious, is that bird poop on the bear’s shoulder? LOL. Thanks for linking, Rachel! I run intervals too fast sometimes too, but I still love them.